All San Angelo homes currently listed for sale in San Angelo as of 04/21/2019 are shown below. You can change the search criteria at any time by pressing the 'Change Search' button below. "Beautiful remodeled home in Southland! 3 bedroom, 2 bath, with HUGE bonus room.Open concept kitchen with concrete counter tops and a spacious dining room.New LVP (luxury vinyl plank) flooring throughout the house, and lots of other custom features. Come take a look at this gorgeous home!" "This home sweet home has been beautifully updated and is ready for a new owner!!! You will love the the freshly painted soft gray walls and beautiful low maintenance vinyl plank flooring throughout! The kitchen has new granite counter tops and stainless steel appliances. Nice floor plan with 3 bedrooms, 2 baths, large living area, 2 car garage, nice covered deck and fenced back yard! This home is perfect for the first time home buyer or someone looking to downsize. It's ready for you to move in!" "Price below the count appraisal. 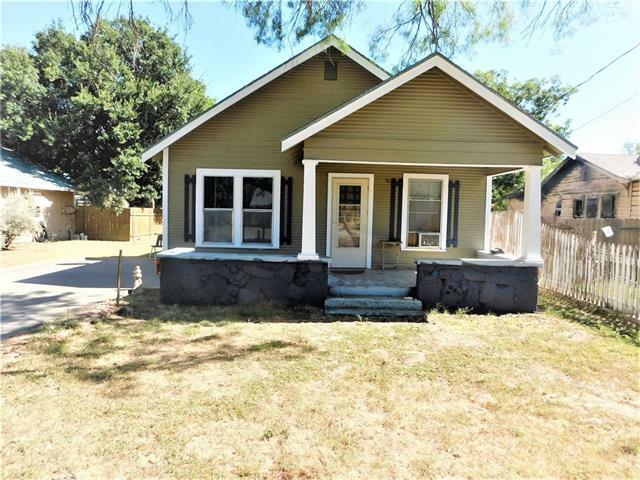 This 3 bedroom 2 Bath home is perfect for a young couple starting out. It is only a couple of blocks from San Jacinto Elementary School. There is a new master bedroom and restroom with large closets in the home. The home has recently had new insulation blown into the exterior walls and ceiling to reduce the heating and cooling bills. The Kitchen is in good shape with nice counter tops. There is a large yard with a water well and the owner is leaving a new p"